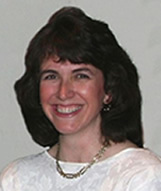 Dr. Jean McClintock received her undergraduate degree from Texas A & M University in 1990 and her medical degree from Texas A & M University Health Science Center, Temple, Texas in 1993. She then completed her residency in Obstetrics and Gynecology at University of South Florida, Tampa, Florida in 1997. Dr. McClintock joined Northlake OB/Gyn in 1997 and is a partner of the group. Dr. McClintock is board certified in obstetrics and gynecology and is a member of the Texas Medical Association, and a Fellow of the American College of Obstetrics and Gynecology. Dr. McClintock is married to Scott and they have two boys. She spends her spare time running back and forth to the many activities of Zachary and Colby, teaching Sunday school and boating on the lake. When she has time, Dr. McClintock enjoys cheering on the Dallas Stars and Dallas Mavericks.